Nowadays there are many reasons why savvy people are looking to save money. Rising prices on everyday goods have made us all think about tightening our purse strings, and saving every cent we can is essential. With this in mind, here are ten top tips to help you save money. Start by looking at your existing spending habits so you have a clear picture of how much income you have and where your money is being spent. Go through bank statements, credit card statements and other financial documents. Make a list of all your fixed expenditure, such as mortgage payments, loan payments, school fees etc. Include any debts you have with loans, credit cards and so on. This will give you a clear picture of your financial situation, so you can begin to plan where you can make savings. Keep a running record of everything you spend, even including the odd litre of milk! This will help you to see where your money is going - it's surprising how much you can spend if you buy a daily coffee and doughnut at your local coffee shop every morning. Next, draw up a budget for all your household expenses. Include a fixed amount to save each month, in case of emergencies such as car repairs. Once you have done all this, you can then look at how to reduce your spending. It pays to shop around to get the best deals on utilities such as electricity or phone services. Take some time to research online and find out which companies offer the best tariffs, taking into account your usage habits. If you have debts, find ways to minimise the amount of interest you are paying. Some credit cards have introductory deals which offer 0% interest, so transferring your debt to a new card could save you quite a bit. If loan repayments are high, check to see if you can renegotiate, or move it to another company with lower interest rates. If it's not possible to change, concentrate on paying off the debts with highest interest first. By shopping around, you can make significant savings on interest rates for some services, or look for the highest interest savings accounts. Keep track of your savings accounts - some providers offer a very good deal for the first year, but then the interest rate drops, so ask your provider to re-designate your account to benefit from any introductory interest rate, or move to another provider. Justmoney - devoted to financial services providers. Compare the Market - a general comparison site, but has information about financial products. Cashback credit credit can be a great way to earn money through your day to day spending, as well as larger one-off purchases. They work by giving you cash (and sometimes other rewards) depending on the amount you spend. There are usually conditions attached to these cards, such as a minimum salary, and a limit on the monthly amount that qualifies for cashback, but used wisely they can pay a good amount. Use them for as many purchases as you can, but the golden rule is that you must pay the full amount off each each month, otherwise the higher interest charges will cancel out your cashback savings. Clicks Clubcard Gold - also includes free travel insurance. Kulula - also offers air miles and free travel insurance. It's surprising how much variation there is between the prices of goods. Of course, it's possible to visit the retailers directly to compare prices, but a faster and more convenient way is to use a comparison website. Simply search for the product you want, and you can browse retailers selling the product, together with their price. But don't forget to check the small print as P&P may or may not be included and that could affect the final price. PriceCheck - information on lots of products, including gadgets, cars and bikes, jewellery etc. ShopMania - deals with a wide range of products, including clothing, computers and mobile phones. Using cashback sites to earn cash on your purchases makes a lot of sense. Some sites require you to access the retailer sites via their website, so your purchases can be tracked. Others have cards and mobile phone apps in addition to their online methods. It's possible to sign up to several sites, but check the terms and conditions, as some sites only offer cashback on online purchases. Boomah - cashback deals with major retailers such as M&S, Wallis, Expedia. Online purchases only. Lyoness - cashback deals on a wide range of products including electricals, groceries, hardware, automotive and travel. Offers cashback for online purchases, via mobile app, by card and using specific retailers' vouchers. 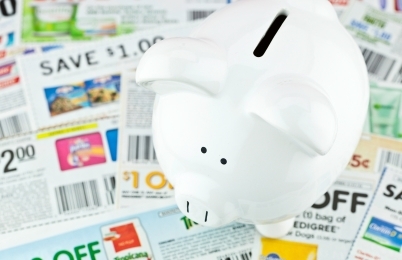 There are lots of ways to reduce the amount you spend on groceries each week. Start by making a menu, list the ingredients you will need, and only buy items on your list. Batch cooking and freezing can help you economise by buying in bulk, but avoid so-called special offers unless you are sure they will actually save you money. If it helps, order online and have your shopping delivered to avoid impulse buying. Consider buying value labels rather than expensive brand names; you will probably hardly notice the difference, except on your bill. You can get voucher and coupon deals for almost anything under the sun these days, so get signed up to websites which offer these - and start saving! Whether it's money off your favourite groceries, deals on days out or leisure activities, or special offers on eating out, you can make huge savings by checking the deals available. Some sites offer vouchers and coupons over a period of time, others are daily deals sites, offering only short term deals. Voucherzone - wide range of offers, including sports and leisure, travel and restaurants. RetailMeNot - vouchers for specific retailers. Groupon - a daily deals site. With a little bit of time and effort, anyone can find ways to spend less, so why not take the plunge and start saving your hard earned cash today?